Knowing how to prepare for a career in musical theatre can put you on the right track toward achieving your dreams. Below is some basic information as to how to get going as a musical theatre star. To have a professional career as a stage performer you must have a few distinct character traits. First, you must be persistent. It is an extremely competitive industry, and you will hear the word "no" more times than you ever would've imagined. In fact, even the most lustrous of musical theatre careers started out with plenty of rejection and very little reward. Next, you must be tough. It isn't easy to be told over and over again that you were good for the part, but just "not quite right." There will always be someone better than you, and if you are easily affected by such a judgment call, then you won't last long in the theatre industry. Always believe in yourself and what you have to offer, and others will begin to pick up on that vibrant confidence. Lastly, you must have talent. This may sound obvious, but the musical theatre industry is inundated every year with individuals who have no chance of making it onstage. Either they are tone deaf or have two left feet. Perhaps they are auditioning for a teenage role when they are middle aged, or maybe they just feel they are right for the theatre world when the complete opposite is the harsh truth. Do an honest evaluation of yourself and your abilities, and ask others to critique you as well. If you can dream it, you can do it - within reason, that is. The first thing you will want to do in your preparations is to receive as much training as you can. Watch other live performers, take classes wherever you can find them, and never turn down an opportunity to be mentored by someone even marginally successful in the industry. Those who hope to have a career in musical theatre must be a triple threat - an agile dancer, gorgeous singer, and a natural actor. Pay equal attention to all three of these skills and make sure you're ready for whatever is thrown at you during an audition. You need all the training you can get in order to keep up with the competition. Next, get some headshots. You can get these done professionally for a few hundred dollars, or have a friend take them for free. If you are going to be using homemade headshots, keep your outfit free from patterns and photograph yourself in a natural, flattering light. Do not look overdone. Agents and casting directors want to see your everyday look, so they know what to expect if they decide to call you in for an interview. Once you have your training and photos, you'll need to get experience. 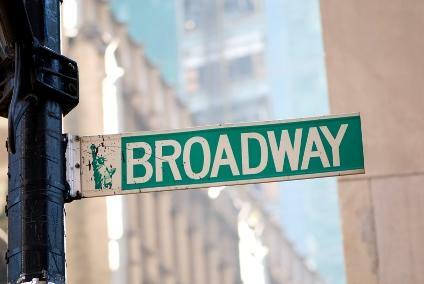 Very few people open on Broadway for their theatre debut. Instead, try auditioning for local community and regional productions, giving yourself ample time to build up a decent resume. If you have the means to do so, it is also a great idea to attend a workshop put on my various theatres in the main markets, such as Los Angeles, New York, and London. The more experience you gain, the more connections and networks you will make, and your chances of landing that perfect audition greatly improve. Finally, don't overdo yourself. Take roles that are worth your time, and don't accept a part you think you'll hate. Determine what sort of roles you'd like to play and stick to those when going on auditions. You will shine best when you are comfortable in your own skin, so work hard to find the perfect fit in the spotlight.